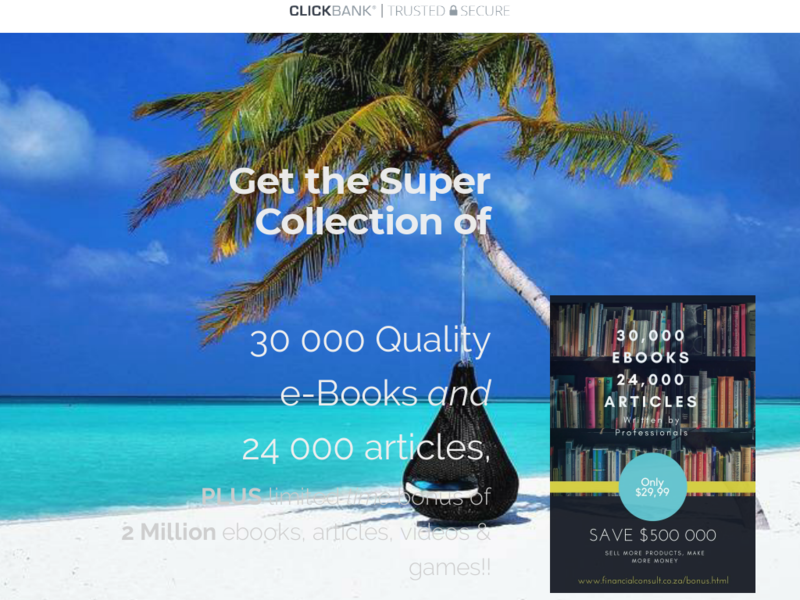 Hot Collection Of 30,000 Quality E-books And 24,000 Articles To Help You Sell More Products. Super Blogging And Reading Collection. Clients Save $500 000 On The 2 Million Bonus, Limited Time.